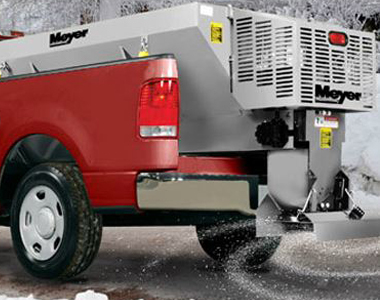 Spread salt and sand smoothly with this Meyer MEY63795 Salt and Sand Spreader. Material clumps are broken up with the 11 HP reliable Honda motor and the Drop N Loc top screen to reduce damage and maximize material flow. Control this spreader from inside your cab with the wireless controls that require no wires or drilling into your vehicle. And, cover up to 30 feet at a time to get your job done quickly, or blast heavily ice packed areas with a 3 ft. spreading width. Hopper Capacity: Fill up less with this 54 cu ft. spreader that can hold up to 5400 lbs. Material: Spread salt, sand, or a salt/sand mix with this spreader. Spread Width: Spread up to an impressive 30 feet to cover more ground quickly. Honda Motor: Break up the toughest clumps with the 11 HP Honda motor. 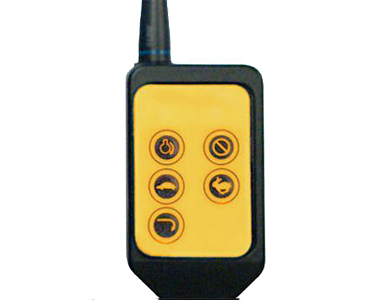 Wireless Controls: No wires, no drilling, just simply load the spreader and you are ready to go. Control the engine choke, and engage the drive system in a simple hand-held wireless controller. Vehicle Applications: Attach this spreader to a 1 ton Trucks that are 2-3 GVW Class. External Baffle Adjustment Systems: Easily adjust the spread pattern with the external baffle adjustment system to spread exactly where you need material. Drop N Loc Top Screen: Reduce damage to the drag chain and increase performance by using the drop n loc top screen to break up large clumps of material. Chain Shields: Prevent material build up in the drag chain with chain shields that keep you spreading materials. Inverted-V: Prevents bridging material and slows down the conveyor. Corrosion-Resistant Hopper: Built to withstand the elements with the stainless steel, corrosion-resistant hopper. Slot and Tab Construction: Fits steel together to deliver greater reliability with a stronger construction. Drag Chain: Consistently pulling all types of materials through the spreader with the highest tensile strength drag chain. Continuous Welding: Prevent materials from pitting in the hopper, and prevents premature rusting. Powder Coated Paint: Durability lasts throughout the life of your spreader. Marine-Grade Actuator: Keep working in the harshest conditions and protect the spreader’s inner parts with a marine-grade actuator. Fork Pockets: Simply use a forklift to install this spreader into our pickup or dump truck. Oil Drain Hose: Drain oil without a mess using the convenient oil drain hose. 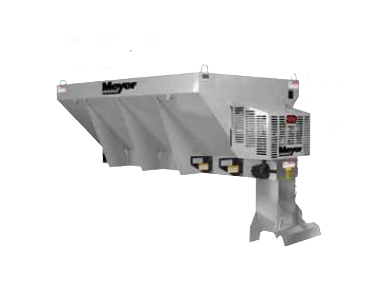 Ask us about the Meyer PV-Honda Gas Drive 11HP Insert Hopper Salt Spreader. Please no repair questions. Your Q&A may be posted to SnowblowersAtJacks.com to help other shoppers, like you, with their purchasing decisions. Thank you. Add options now for your Meyer PV-Honda 11HP 2.0 at a 1 time discounted price. When you are ready to check out, just click the ADD TO CART button. Description: The rugged one piece fitted tarp is waterproof and has ultra violet protection for longer life. Durable rubber tarp straps allow quick removal during hopper filling operations.